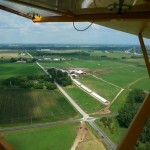 An aerial view of Saxon Homestead Farm from a Super Cub plane. 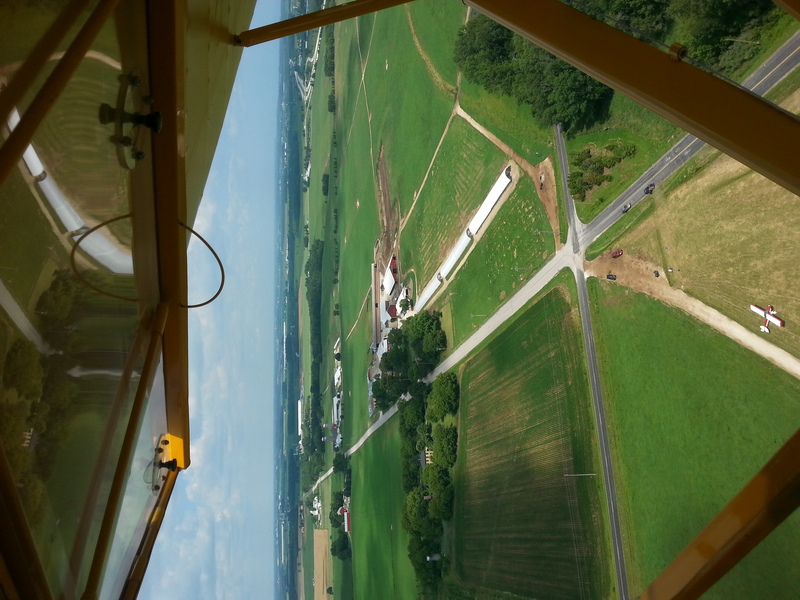 Read about when 37 airplanes and 500 cows shared our pastures during the 2nd Annual Super Cub Fly-in to Saxon Homestead Farm. This event has taken place on our farm for two years in a row. We enjoy having the Super Cub airplanes land in our field and hosting the pilots and their families for lunch in our historic barn.